The Rolling Stones are more than a band. Whether we like it or not their songs are a myth, a lifestyle, a reference and even in the human behaviors. They represent on their own all the excesses and all the limitations of the 60s and 70s. And they are still there 52 years after their debut. Phenomenal. Stanley Booth is an American rock journalist who has written about Keith Richards, Otis Redding, Janis Joplin, James Brown, Elvis Presley, BB King and Al Green. 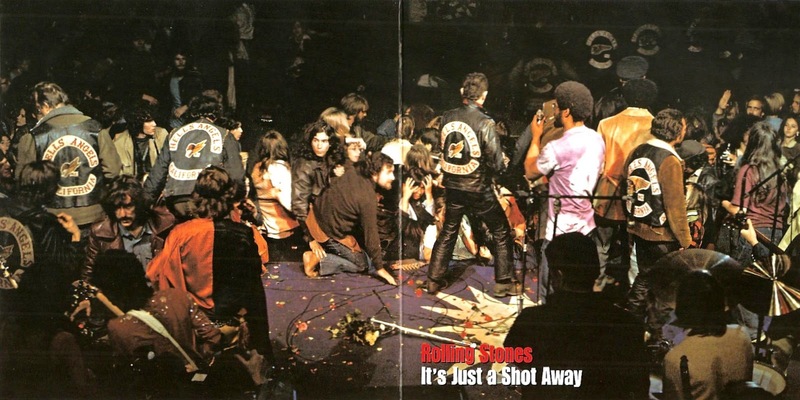 He is a writer with a solid reputation who followed the Stones during their 1969 U.S. tour until the sad final, the infamous Altamont concert which saw the Hells Angels, who took care of security, stabbing a spectator in front of the cameras. Stanley also talks about the Stones beginnings, speaks tenderly and long about the founder of the Stones, Brian Jones, and how the latter and Ian Stewart, co-founder of the group, have been brutally sidelined by the pair Jagger-Richards. Ian Stewart served as a roadie and carrier to other members and Brian Jones, talented and brilliant multi-instrumentalist has spoiled in drugs, alcohol and other excesses until Richards, Jagger and Watts announced him in June 69 he was fired and replaced by Mick Taylor, better guitarist but less good musician and arranger . The writing style of Stanley Booth is taking, interesting, intimate, almost poetic. It never tires and never get bored. We live with the band, we love it, we hate it. We learn to know the characters of the musicians. Richards the rebellious, a selfish Jagger, Wyman the man who collects women, and Watts the quiet man. As the new member at the time, nice Mick Taylor, he could not find his place in this already legendary group in 1969. The author had the privilege of seeing the birth of songs like Brown Sugar and Wild Horses. It all ends in hell, Altamont concert on the night of 6 to 7 December 1969. What was to be a huge celebration of rock'n'roll and debauchery ends in horror. Stones and their entourage were evacuated quickly by helicopter. They will be shocked and traumatized for a long time. 69, a grey year for the Stones . I read a lot of books and documents about the Rolling Stones, Dance With the Devil is the best one. We live alongside musicians, their music, their many excesses ( Stanley Booth shared ) (" Sometimes Keith called me in my hotel room and told me ,(" Come join me , man, I have a thing should interest you . " I did a little praying, but two hours later, we were in a coma on his bed, stoned on heroin ",) their concerts, their lack of sleep. Captivating. Touching even when Shirley Arnold, who was in charge of the fan club at this time tells about her long friendship with the fragile Brian Jones, who knew that he would die before age 30 . The Maysles brothers followed the Stones during this American tour until 1969 Altamont also. Everything is visible in the film Gimme Shelter. Dance With The Devil, a highly recommended reading for any fan who love the Stones and for all music lovers. A must.